• The best way to avoid being bitten by a fire ant is to keep away from their mounds. Fire ants are notorious for building huge mounds of dirt that, when disturbed, release thousands of angry ants ready to bite. So, watch your step when walking through grass or a field, and if you see a mound, don’t kick it or step on it. • Spread fire ant preventing fertilizer in your yard. Many seasonal lawn fertilizers come with fire ant prevention in them. You can also buy a fire ant killer designed for broadcast spreaders to treat your entire lawn. • If you find a mound, treat it immediately with a spot treatment product like Amdro. These treatments are designed to kill the queen so the ant mound will become inactive. What should you do if you’ve been bitten? 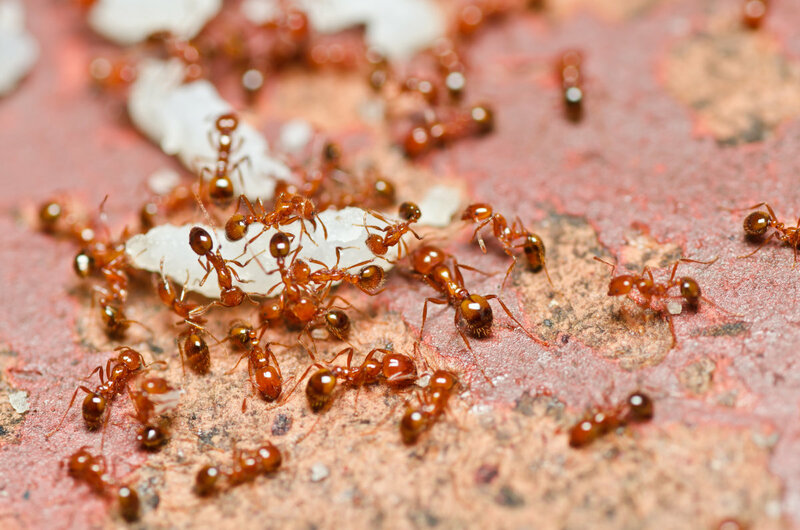 • If you see ants crawling on you, brush them away immediately. • If you’ve been bitten, wash the area with soap and water. You may want to take an antihistamine or apply a hydrocortisone cream to the affected area. • The bite mark will be a small red, swollen bump with a white blister on top. Try not to scratch them as it may become infected and last longer. • If you experience difficulty breathing, severe swelling or nausea, seek immediate medical treatment. You may also want to get treatment if you have numerous bites. Fire ants are not native to the United States, in fact, they were accidently imported here in the 1930s. Unfortunately, they’re here to stay as they have no natural predators and love the warm Southern weather.